Pangnirtung, Nunavut, Canada. © Tyler Heal. Former Prime Minister Stephen Harper gave numerous speeches and issued many press releases on the North during his time in office (see: Lackenbauer & Dean, 2016), ultimately making the Canadian Arctic a policy priority. To this end, Canada released its first Northern Strategy in 2009 and the Statement on Canada’s Arctic Foreign Policy in 2010. The Northern Strategy identified four pillars for Canada’s domestic regional priorities: “exercising our Arctic sovereignty; promoting social and economic development; protecting the North’s environmental heritage; and improving and devolving northern governance” (INAC, 2009, p. ii). The Statement on Canada’s Arctic Foreign Policy (Foreign Policy) then placed these areas in an international context. While it appears that each pillar is of equal importance, Riddell-Dixon (n.d.) found that over the years “the Canadian government has done a good deal to promote national sovereignty and resource development in the Arctic” (p. 5), while there has been little improvement to regional socio-economic conditions and environmental protection. The federal government is now in the process of creating a new Arctic Policy Framework and has recently concluded the public consultation stage with the final framework still to come. By taking a closer look at Canada’s Arctic Foreign Policy Framework: Discussion Guide (INAC, 2017), we can better understand if and/or how regional priorities have changed (see: Sharp, 2016) in the past decade. This article begins with a brief overview of how the new Framework came to be and is followed by a comparison of the new and old documents. This article then looks at perceptions of the framework that emerge from some of the publicly available consultation submissions and addresses some of the challenges and opportunities the Framework will bring. What emerges is that the policy agenda setting process is taking a more inclusive and multilevel governance approach than in the past. Broadly speaking, Arctic governance embodies a multi-level approach to managing the range of regional issues (see: Bruun & Medby, 2014). The new Framework incorporates this approach in the agenda setting processes. Notably, Prime Minister Justin Trudeau announced that “Canada is committing to co-develop a new Arctic Policy Framework, with Northerners, Territorial and Provincial governments, and First Nations, Inuit, and Métis People that will replace Canada’s Northern Strategy” (PMO, 2016, para. 6) in his joint statement on the Arctic with then American President Barack Obama. This signals that Northerners will have more of a say with policy that affects them. As part of the co-development model, the Framework is informed by the priorities identified in Mary Simon’s (2017) report, A New Shared Leadership Model, and the Pan-Territorial Vision for Sustainable Development written by the Governments of the Northwest Territories, Yukon and Nunavut (n.d.). Many of the issues raised in both documents are found in the Canada’s Arctic Policy Framework: Discussion Guide (INAC, 2017), which is the primary document for public engagement. The federal government held 15 in-person consultation sessions across the North, in Ottawa and Toronto, and 5 online youth consultations between October 2017 and March 2018. However, the engagement roundtables were “by invitation only” (see: INAC, 2018, March 14), meaning that individuals and other groups could only participate by submitting their responses via mail or email. There has been a shift in how the North has been defined over the past decade. The Northern Strategy applied to the three territories (Yukon, Northwest Territories, and Nunavut) (INAC, 2009), while the Foreign Policy identified the territories and also mentioned “the northern parts of many Canadian provinces” (Government of Canada, 2010, p. 3), but did not give clear definition of which parts of which provinces were included. The new Framework (INAC, 2017) expands and clearly identifies the North’s boundaries in comparison to the previous documents. Specifically, it includes the three territories and the northern part of Manitoba, and it also clearly identifies Inuit regions outside of Nunavut, including Inuvialuit (Yukon, NWT), Nunavik (Quebec), and Nunatsiavut (Labrador). The Framework also identifies Inuit Nunangat which is a geographical region that encompasses the four Inuit regions and is inclusive of all “land, water, and ice” (Inuit Tapiriit Kantami, 2018a, para. 6) in these regions. The decision to include the northern parts of Manitoba, Quebec and Labrador is a recognition of the “markedly different economic, social, and cultural dynamics from the largest centres” (Coates & Poelzer, 2014a, p. 2) found in other parts of the provincial norths. Moreover, this is a recognition that the Inuit have called Canada’s North their “homeland since time immemorial” (Inuit Tapiriit Kanatami, 2018a, para. 1). The Framework discussion guide (INAC, 2017) identifies six key areas of which the federal government solicited feedback to help inform the final framework document. In the sections below, each area will be briefly reviewed and then compared to the priorities of the previous strategy. This discussion point recognizes the lack of overall transportation, energy, housing, and communication infrastructure in the region and the negative effect it can have on “community wellness and economic development” (INAC, 2017, para. 24). There is also an acknowledgement that any new infrastructure must be designed in a manner that will withstand the current and changing climate. Instead of the government determining what infrastructure projects should be prioritized, the consultations seek this information from the different communities on the areas of, but not limited to, transportation, telecommunications and housing (INAC, 2017). The Northern Strategy briefly addressed infrastructure under its section on Promoting Social and Economic Development. The document identified fishing, physical, technological, and recreational infrastructure as key investments that were important for “a stronger economy, a cleaner environment and more prosperous communities” (INAC, 2009, p. 17). At first glance, it appears that both documents address many of the same infrastructure needs. Indeed, the proposed Framework recognizes the economic benefits of infrastructure development, but this is just one part of the new Framework’s goal of improving the regional standard of living and overall well-being. This section of the Framework addresses the social needs of the North. In particular, it focuses on a broad range of issues including health, education, infrastructure, employment, crime, emergency preparedness and culture (INAC, 2017). There is a recognition of the effects of colonialism on the North and the importance of devolution to the future of the region. As such, “Indigenous-led actions, with the support of government and other partners, will play an important role in successful efforts to enhance health, economies, languages and cultures in Arctic communities” (INAC, 2017, para. 36). The Northern Strategy discussed social priorities in the section on Promoting Social and Economic Development and mentioned many of the same issues (ex. health, education, food security, education, employment, and so on) (INAC, 2009). However, the issues were positioned in terms of federal-territorial relations and the use of transfer payments and Territorial Formula Financing to provide services rather than addressing the “underlying conditions that cumulatively impact the well-being of Arctic people and communities” (INAC, 2017, para. 36). At the international level, the Foreign Policy sought to address social concerns through the Arctic Council (Government of Canada, 2010). The proposed Framework, therefore, begins to address aspects of Canada’s colonial legacy by empowering Northerners to determine for themselves the best ways to build strong communities. Experience has shown this approach will be more likely to succeed (see: Gibson, Martin, Zoe, Edwards & Gibson, 2008; Royal Commission on Aboriginal Peoples, 1996; see also: Institute on Governance, 1997). The Framework recognizes the importance of the mineral sector to the regional economy, but also sees emerging opportunities with “construction, tourism, cultural and traditional industries, shipping, leveraging technologies, and commercial fisheries” (INAC, 2017, para. 44). The goal is to improve the region’s economic outlook in a sustainable and environmentally friendly way. This requires developing regional infrastructure, mitigating the high cost of doing business, and addressing safety concerns while creating more opportunities for Indigenous business, emerging industries, and trade (INAC, 2017). The Northern Strategy positioned the extractive resource industry as the primary regional economic driver in the section on Promoting Social and Economic Development. To this end, there was also support for employment training and education programs for Indigenous Northerners. The document also noted that “The North is also home to vast renewable and cultural resources that make important contributions to its economy and society” (INAC, 2009, p. 16), suggesting that Indigenous culture could be commoditized. Both the Northern Strategy and the Foreign Policy recognized the need for economic growth to be sustainable, and the Foreign Policy also sought to increase trade and “defend sealing on the international stage” (Government of Canada, 2010, p. 16). There are a number of similarities between the documents, especially around the importance of the resource sector, the need for sustainable growth, and a desire for increased local employment. The major difference, however, is that the proposed Framework appears to not rely solely on the resource sector for economic growth and that Indigenous peoples are becoming more active economic actors. The Framework dedicated an entire section to the importance of including Indigenous Knowledge (IK) in Canada’s Arctic scientific and research programs. There is a recognition that IK can inform research on a variety of topics that it should also be used as part of the decision-making process. Of equal importance was that Northerners also want to contribute to setting the research agenda and “ensure that the research being carried out in their backyard is relevant to their lives and their needs” (INAC, 2017, para. 56). Ensuring access to education for Northerners will be important to these processes. The term Indigenous Knowledge was not used in the Northern Strategy and was only used once in the Foreign Policy to “better understand polar bears and their habitat” (Government of Canada, 2010, p. 18). The term ‘traditional knowledge’ was also used in the Foreign Policy in relation to economic development. As for scientific research in general, the section on Protecting our Environmental Heritage spoke to this through Canada’s participation in the International Polar Year and the development of the Canadian High Arctic Research Station (CHARS) (Government of Canada, 2010; INAC, 2009). As well, increased funding was made available “to Canada’s university granting councils for research in support of industrial innovation, health priorities, and social and economic development in the North” (INAC, 2009, p. 22). Finally, the federal government would also contribute to scientific research through the work of the Arctic Council (Government of Canada, 2010; INAC, 2009). The most significant change in the proposed Framework is the commitment to make research on the North more relevant to Northerners through the inclusion of IK, having locals determine what needs to be studied and contributing to the research process themselves. Indeed, they are the experts on the region and an approach to this kind of collaborative research can be found in the recently released National Inuit Strategy on Research (Inuit Tapiriit Kantami, 2018b). 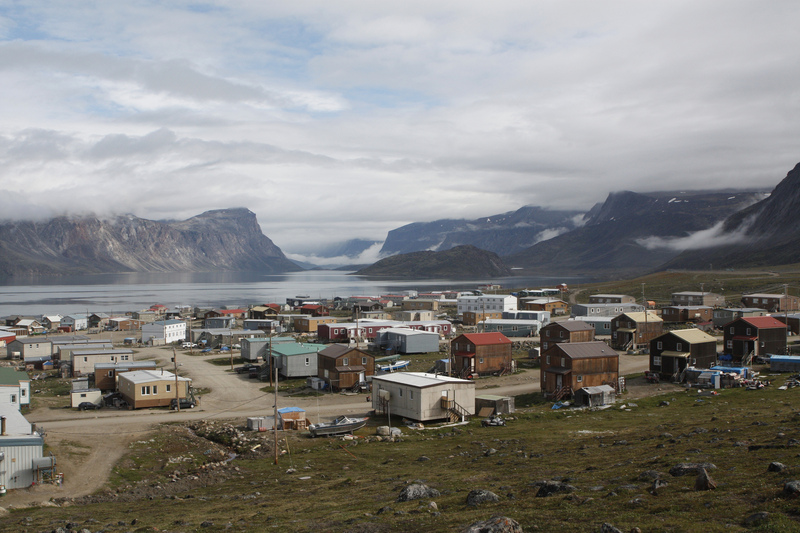 The Framework recognizes the effects climate change can have on all aspects of Northern life. As such, IK, co-management and devolution will be important practices in attempts to find and use renewable energy, protecting the ecosystem, ensuring resource development is sustainable, and preparing for the future more generally (INAC, 2017). It is not a surprise, therefore, that the environment is on the research agenda. Both the Northern Strategy and the Foreign Policy stress the importance of environmental protection in light of climate change. Emphasis was placed on protecting Arctic waters from pollution, animal conservation, and promoting scientific research in Canada and with the other Arctic states (Government of Canada, 2010; INAC, 2009). Much of the proposed research plan aligns with the priorities from the Northern Strategy and Foreign Policy. The difference is the extent to which addressing these concerns will be a collaborative effort between government(s), Northerners, and Indigenous communities. This section in the Framework seeks to improve Canada’s international Arctic leadership. This includes working and sharing knowledge with other Arctic states on shared challenges and opportunities in relation to the environment, environmental protection, infrastructure development, trade, safety, research, and protecting Indigenous cultures and languages (INAC, 2017). The Northern Strategy and Foreign Policy also emphasized cooperation and collaboration with Arctic partners, notably through institutions like the Arctic Council, the International Maritime Organization, and the Northern Forum, for example. The Northern Strategy also stated that “The United States remains an exceptionally valuable partner in the Arctic” (INAC, 2009, p. 34), whereas the new Framework does not mention the United States outside of a list of the eight Arctic countries. This is surprising considering the 2016 Joint Arctic Leaders’ Statement (see: PMO, 2016). Aside from creating new sections for infrastructure and IK and separating social and economic development, there are two key differences from the Northern Strategy and Foreign Policy; the new Framework omitted two sections on Improving and Devolving Northern Governance and Exercising Our Arctic Sovereignty. In terms of devolution, this makes sense in the context of the proposed Framework. The earlier documents sought to make space for Indigenous peoples in Northern governance, whereas the Framework has already included them as partners during the agenda setting process. As for sovereignty, this was the first priority of both the Northern Strategy and Foreign Policy. These documents positioned every government action in the region as an act of sovereignty. The documents also addressed other aspects of sovereignty, including the importance of the Canadian Forces and Coast Guard having a physical presence in the North, and having the ability to enforce maritime legislation and regulations like the Arctic Waters Pollution Prevention Act (AWPPA) and the vessel reporting in the Northern Canada Vessel Traffic Services Zone (NORDREG) (Government of Canada, 2010; INAC, 2009). In contrast, the Framework’s discussion guide does not use the word sovereignty, although it does makes reference to acts of sovereignty, such as Canada’s ability to “ensure the safety and security of the Canadian and circumpolar Arctic” through the “Canadian Armed Forces’ and Canadian Coast Guard’s presence and ability to operate in Canada’s Arctic” (INAC, 2017, para. 76), as identified in the Global Context section. Interestingly, one of the discussion questions in this section asks consultees to identify “the main challenges and opportunities for Canada’s Arctic foreign and defence policy in the next 10-20 years” (INAC, 2017, para. 77). Perhaps this is a way to have sovereignty and security issues included through the desire of the people rather than at the insistence of the government. The federal government also stresses that Canada’s Arctic sovereignty is maintained through “historic title, founded in part on the presence of Inuit and Aboriginal peoples since time immemorial” (INAC, 2009, p. 9). Thus, the high profile and role of the Inuit in the new Framework not only contributes to the reconciliation process (see: Simon, 2017), it also asserts Canada’s sovereignty position without the government having to make overt claims. Moreover, as Inuit Nunangat territory consists of Arctic ice and waters, its inclusion in the Framework can signal to the world that Canada maintains its sovereignty claim over the Northwest Passage based on the continued presence of the Inuit. Nevertheless, the proposed new Framework demonstrates that the federal government is open to and is actively seeking a new way to govern in the Canadian North that puts the needs of the people and the region first. As the Framework consultations recently concluded and it will take time to produce the final document, it is difficult to predict how the different Arctic stakeholders will receive the new Framework. That being said, some groups have made their consultation submissions publicly available and early perceptions can be gleaned from these documents. The first submission is by a group of Arctic scientists who made policy suggestions based on the questions in the discussion guide. Their document reiterated many of the points found in Mary Simon’s report (Dey et al., 2018), suggesting the Framework is on the right track. To help fully realize its potential, the North could be considered, and better yet officially declared by Canada as a ‘special economic zone’, and the Arctic Policy be used to focus actions on reducing its high cost of living, empowering its young and growing population, better mapping its large land mass, and righting the significant infrastructure deficit, and providing preferential tax treatment to help incent responsible growth (NWT & Nunavut Chamber of Mines, 2018, p. 12). For them, they see the economy as the driver for overall regional growth and development. Unsurprisingly, they positioned the mining industry at the centre of their responses and argue that “Diversification is a worthy effort, but not diversification away from resource development” (NWT & Nunavut Chamber of Mines, 2018, p. 9), which diverges from the economic future proposed in the Framework. Communities are also experiencing consultation fatigue from numerous and inefficiently coordinated engagement processes. Many northerners feel the results of these consultations often do not adequately accommodate the concerns of Northern peoples or meet the criteria of free, prior, and informed consent as laid out within the “United Nations Declaration on the Rights of Indigenous Peoples” (Dene Nahjo, Qanak, & Our Voices, 2018, p. 9). The authors went on to explain what it would take for a new policy to be successful and made important policy suggestions they believe must be included. They also identified new issues for consideration, such as the need for the federal government to address international mobility rights of Indigenous peoples, to decide whether extractive resources should be the primary economic sector, and the lack of the North’s political representation, especially in Senate (Dene Nahjo, Qanak, & Our Voices, 2018). With just these three submissions alone, it is clear there are different views on the proposed Framework and the policy process in general. There are also two challenges to the policy process and development of the new Framework. The first is in relation to participation in the in-person roundtables. As the sessions were by invitation only, it meant that many Northerners who either had something to say or wanted the opportunity to ask questions may not have felt that they were able to do so despite the option of submitting a written response. As such, valuable insights may have been lost. Second, even though the Framework takes on a multi-level governance approach, “the Government of Canada retains the decision-making authority for matters related to Canadian defence, foreign policy and other issues of national interest” (INAC, 2018, March 14, para. 13). At first glance, this statement seems like it would not affect the issues covered by the Framework. However, the term ‘national interest’ is vague and could at any time be applied to any aspect of the Framework. Despite these challenges, there are also some opportunities. The first is with the expanded definition of the North. The residents in Happy Valley-Goose Bay and Nain, Labrador and Churchill, Manitoba were all pleased that the new Framework included their regions, as revealed in the published consultation summaries for these locations. As mentioned above, this is important because the Northern parts of the provinces have many similarities with other Northern communities (see: Coates & Poelzer, 2014a) and this their inclusion in the Framework has the potential to make a difference to the overall well-being of these communities. Second, developing the framework based on the results of Mary Simon’s (2017) report, the Pan-Territorial Vision (Governments of the Northwest Territories, Yukon, & Nunavut, n.d.), and the consultations allows for Northerners to identify the issues that matter most to them and propose their own solutions. Furthermore, the engagement process contributes to reconciliation as it acknowledges that “Arctic leaders know their needs” (Simon, 2017, para. 92). It also contributes to the process of devolution, meaning that “the territorial governments are gaining much greater authority over development, economic planning, and community improvement strategies” (Coates & Poelzer, 2014b, p. 2). This is significant as the previous regional governance document had “minimal involvement, consultation, or engagement with Northerners” (Dene Nahjo, Qanak, & Our Voices, 2018, p. 1). Moreover, the inclusive approach allows for the development of a whole of government and multilevel governance approach to emerge in the region. This is beneficial as it provides space for all the departments, agencies, and organizations responsible for Northern governance to work together rather than miss the mark when working in silos. The new Arctic Policy Framework addresses many of the same issues found in the previous Northern Strategy and the Statement on Canada’s Arctic Foreign Policy. They key difference is that the new policy is being developed from the bottom up rather than the top down, meaning Northerners will have a greater say in how their needs will be addressed. While the engagement process may not be perfect, it is most certainly a step in the right direction towards greater inclusivity and regional agency. That being said, the true test of the new Framework will be in the finalization of the regional priorities, and, perhaps more importantly, the implementation and evaluation processes (see: INAC, 2018, Jan. 9; Riddell-Dixon, n,.d.). Mary Simon was appointed by Carolyn Bennet, Minister of Indigenous and Northern Affairs, to speak with Northerners to identify regional needs and recommend changes to leadership and approaches to regional governance (see: INAC, 2017; Simon, 2017). These concerns include, but are not limited to education, culture and language, infrastructure, housing, climate change, and economic development (Governments of the Northwest Territories, Yukon, & Nunavut, n.d.; Simon, 2017). The new Framework will be of particular interest and importance to northern Manitoba, and Churchill in particular. In 2017, the only rail link and ground transportation route to the south was damaged in a flood. This has had a significant impact on the community’s economic and social wellbeing (MacIntosh, 2018, March 16). The issue of sealing was not specifically addressed in the proposed Framework; however, the future of sealing was raised in the Happy Valley- Goose Bay consultation (see: INAC, 2018, Jan. 9).